This week a Senate Committee heard five hours of testimony and a House Committee suffered through seven hours. Both the House and Senate committees were coming down the home stretch of a five year deliberation on the renewable mandates that would force Ohio consumers, business and industry to buy wind, solar and whatever else is defined as renewable. Governor Kasich has continuously threatened to veto any legislation that continues the freeze on the renewable mandate. It appears the “compromise” will be to turn the mandates into voluntary goals for the next three years. Yesterday, the House Public Utilities Committee voted to approve House Bill 554 turning mandates into goals. It will go to the House floor next week. The timeframe is tight in the event the House and Senate approve slightly different bills and would need to go to a Conference Committee to iron out differences. It is a race against the clock as the Senate is slated to adjourn on December 8th. During the House Public Utilities Committee hearings Rep. Kent Smith, a Democrat from Euclid offered an amendment to allow local government to establish their own setbacks for wind. A number of witnesses in both the House and Senate hearings requested that the current property line setbacks be revised and reduced. In the Senate hearings, Senator Seitz told the witnesses that the bill under consideration has nothing to do with the issue of setbacks and testimony on the subject was out of place. The setback issue is going to come back in the next General Assembly…. A proposal that critics say would weaken the clean-energy standards has won approval from an Ohio House panel, but Gov. John Kasich said the measure may send the wrong message about the state. However, he stopped short of saying whether he would veto the bill. House Bill 554 was voted out of the House Public Utilities Committee today. It is heading to the House floor for debate early next week, sponsors said. There would be just a few days to pass the House and Senate in order to reach the governor’s desk before the end of legislative session…. What does the election mean for BigWind in Ohio? By the time the next edition of Wind News is published, the election will be over and everyone will be sorting through the results to derive meaning. Election Day is the due date for Reply Comments to the Ohio Power Siting Board’s draft rules. The General Assembly will swing into its year-end session and tackle the mandate freeze while developers will press to revise property line setbacks. On the national level, wind developers will be racing to secure full access to the federal Production Tax Credit before December 31st. One thing feels certain with the election of Clinton…wind turbines could spread like a wildfire across our great lands. In other campaign news, we were amused by the Midwest Energy News story – Midwest is published by RE-AMP whose members include The League of Conservation Voters and Ohio Environmental Council. The article whines about the campaign spending by fossil fuel groups as opposed to the penniless greenies who just want a better world (albeit one presumably without heat or light). When the LCV announced earlier this year that it would coordinate efforts in Ohio with the Ohio Environmental Council Action Fund, Gene Karpinski, president of the League of Conservation Voters said, “Our environment should not be a partisan issue, and preserving it should not be controversial.” We juxtapose this story with one from Energy and Environment News headlined: Green groups spend over $100M; LCV hits record level. “In a separate announcement, the Sierra Club revealed today that major environmental organizations — including itself, LCV, NextGen Climate Action, EDF Action, the NRDC Action Fund and Environment America — expect to spend more than $100 million on the 2016 cycle.” We suspect a vast left-wing conspiracy. Following the money, there has been recent press accounts of Amazon’s purchase of the Scioto Ridge project in Hardin County developed by EverPower. We thought it might be good to reflect on this for a moment as we think about where Governor Kasich stands with respect to the renewable mandate. We know that Amazon’s cloud computing operations use an enormous amount of power and they seek to comfort the green crowd by offsetting their power use with renewables, and specifically wind. What was Amazon’s price for locating in Ohio? Many claim Amazon insists on access to renewable power and perhaps Kasich promised to support the mandate so that Amazon could appease the green lobby. What would Kasich get in return? According to press reports in 2015, Amazon’s location in Ohio would cause all Ohioans to be subject to sales tax on any purchases made through Amazon.com. “Amazon said it estimates it will collect between $150 million and $300 million annually in Ohio sales taxes that are currently the responsibility of consumers to keep track of and pay.” Given that Ohio sales tax revenue has been lagging, that is probably a big deal to the Gov. Ohio also provided $81 million in incentives to Amazon. Too bad the folks in Hardin County had to subsidize Amazon’s electric bill, too. A million here, a million there and pretty soon you are talking about money. “AEP American Electric Power Company Inc. plans to spend $1 billion on the renewable energy business, in part with funds from the sale of some Ohio power plants. The Columbus-based electric utility is dipping its toe in the sector, as it expects a capital outlay of $17.3 billion from 2017 to 2019, AEP said Tuesday.” “It has formed two related subsidiaries, one that focuses on smaller-scale wind and solar projects and the other focused on larger projects. AEP Onsite Partners is a “behind-the-meter” company, contracting with, for example, a grocery story that wants solar panels on its roof. Customers include schools, hospitals and businesses.” “AEP Renewables is in charge of what AEP CEO Nick Akins describes as “utility-scale” projects. These are the wind and solar farms whose power output is sold via long-term power purchase agreements to other utilities, cities and corporations that demand their businesses run on clean energy.” We’ll take solar, please. But our favorite for the week is the idiotic letter to the Dispatch Editor from the Ohio Christian Coalition in support of renewable energy and “reworking wind-turbine setback limits.” Perhaps we could introduce these Christians to Moses and the Ten Commandments. 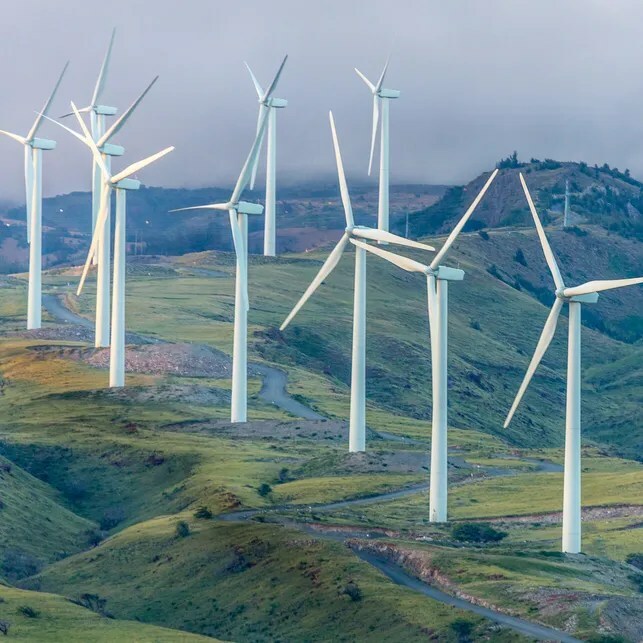 We are thinking specifically of the 10th Commandment: “Thou shalt not covet thy neighbor’s house.” If nothing else, wind developers covet the homes, yards, fields and skies of non-participating landowners, known in their own Agreements as “Good Neighbors”…. Conservative leadership from Gov. John Kasich and the General Assembly has produced a business-friendly, job-creating environment in Ohio. I was encouraged to read the Oct. 24 Dispatch.com article, “Report: State support of clean energy could add jobs, cut consumer costs.” The article outlined the economic benefits that clean energy will provide to the Ohio economy. A striking statistic included the claim that Ohio stands to add enough clean energy jobs to fill Ohio Stadium by 2030 should the General Assembly do the responsible thing and come to a common-sense, “all-of-the-above” energy solution for Ohio. Conservatives should always be in favor of creating jobs and cutting costs, and that is exactly what a conservative approach to clean-energy reform can provide for millions of Ohioans. 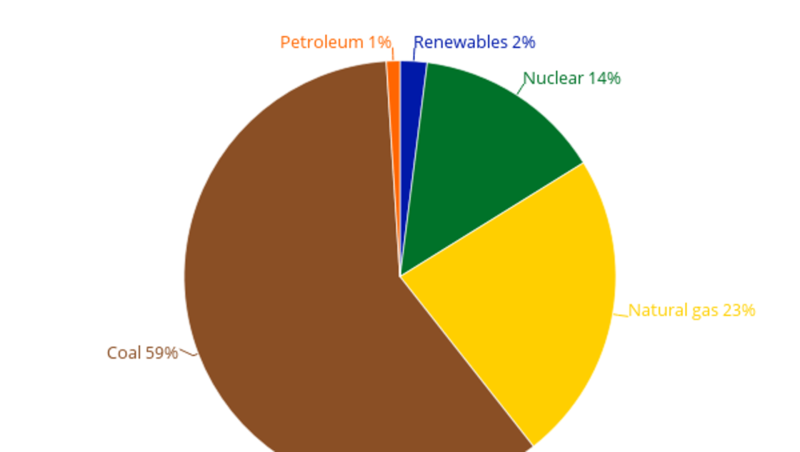 So what does conservative clean energy reform look like? The Ohio Christian Coalition is joining conservatives from around Ohio to advocate for increasing the use of renewable energy by 5 percent in the next five years and reworking wind-turbine setback limits. Common-sense, conservative energy reform is a winning issue for conservatives across Ohio. “I’m home, safe and sound.”Words that should always go together. But yesterday I had an emotional visit with Ted Hartke and his beautiful wife Jessica. I was returning from Missouri and, with nothing but time to kill on my 11 hour drive home, I gave Ted a call. He pointed out that I would be very near the home he and his family abandoned due to wind turbine noise and he would like to take me through the now-empty home. So I took him up on the offer. It is hard to describe the feelings Ted and Jessica expressed as we visited in front of the abandoned home that was once their dream. All the things that were so important to them only three years ago- before the turbines went into operation-things like getting the yard just right, picking the right paint colors and flooring, and commemorating their new-home-in-progress with their very young children’s hand prints in freshly poured concrete- were stripped of their precious value by by the nuisance trespass of Chicago-based InvEnergy, a multi-billion dollar wind energy corporation with little conscience. As soon as the turbines went into operation, the noise from the nearly 500′ tall turbines invaded their home and deprived them of sleep. When operating at or near their rated capacity, every pass of the a turbine blade sent low frequency noise pulsation through the wall of their home, stealing their rest. Nothing would stop they noise. They moved all their beds into the interior of their home in a futile attempt to escape invading energy. They asked Invenergy to stop the turbines and they sometime complied. But in the end, profits were more important than people. So they abandoned their dream home that was in “just the perfect spot with a perfect view” and instead took on a second home and a second mortgage and all the additional expenses that come with two homes. Maybe some would have just left the lender high and dry. But Ted and Jessica aren’t those kind of people. Ted and Jessica have finally found a new home and are improving that new home like we all do. New homes usually bring joy and a sense of new adventure. But Ted and Jessica’s new home experience is haunted by dark thoughts born of bitter experience. The feelings are the feelings of grief and loss. And violation. They struggle together, recovering from trauma- an unnecessary and pointless trauma- that, unbeknownst to them, began years ago as opportunistic and now faceless lobbyists roamed the nation’s legislatures under a false cloak of credibility selling a bogus cure for an over-hyped disease. And their trauma was enabled by all-too-willing engineers and planning commissioners who violated their oaths to protect human beings from harm. They profit. Ted and Jessica paid. Just like Cary Shineldecker and Karen L. Ward Shineldecker paid. And just like the David Peplinski family and all the other past and present litigants and victims in Huron County, Missaukee County, Delta County, Mason County and across the Midwest. They borrow against their retirement to hire attorneys to then spend years in court trying to recover their most precious commodity- a home, safe and sound. And at best they receive money. But money does not bring justice. That is when Ted and I, two grown men well over 6 feet tall, “tough rugged and independent”, stood in his Illinois driveway and wept. People think wind turbines look cool. But sometimes wind turbines make people cry. Cary Shineldecker and Karen L. Ward Shineldecker and I have wept. Ted and Jessica and I have wept. I have cried many times when talking to victims of irresponsible wind development and with those who try to halt it. I am not ashamed. I weep for people who are needless victims. And I also weep for those who watch suffering and do not weep…and do not make it stop.